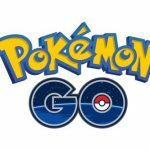 By now, you probably don’t need any introduction to Pokémon GO, the new game from Niantic that is still on an unstoppable roll as the number one game on the App Store and Google Play Store, and probably the most popular mobile game of all time. This isn’t like your usual mobile game where you interact with the in-game world, or like mobile games with social elements that allow you to play online against other human players, or join clans/guilds with them. This game, in case you still need a refresher on it, allows you to catch virtual Pokémon in the real world and battle against other human players in Gym Battles. But what are Gym Battles, and what are Gyms in the first place? This list of Pokémon GO cheats, tips and tricks hopes to answer all the questions you may have about the Gym mechanic in the game. As the game’s “only” been out for about a week or so, there’s a chance you might not be familiar with how these work yet, so if you’re not quite sure about how the whole gym thing works, then read on and check these tips out. 1. How Can You Identify A Pokémon Go Gym? It’s quite simple, and chances are good you’ve already seen one on the map. Simply pull up the game’s map on your phone, and look for the colored towers – these are large, tall towers, and you wouldn’t be able to miss them on the map. But before you get all excited about accessing those Gyms, take note that, just like we said before in our general tips, you need to be at level 5 or higher in order to do so. After reaching level 5, the game will ask you which team you wish to join – you have the option of joining the Blue, Red, or Yellow team, though at the end of the day, your choice of team/color won’t matter. It won’t change the gameplay or YOUR individual gameplay in any way at all, and your color of choice will simply be a color to identify your team, and to let people know you’re fighting teams of the two other primary colors. You wouldn’t be able to access a Gym and all the features within unless you are near them. This is similar to how PokéStops work. You will, however, need to be at a specific gym – the one corresponding to your color – so that you can train your Trainer, or have one of your Pokémon stand guard at your gym. The limit, as mentioned previously, is one Pokémon per player per Gym, but you can work around this by asking your friends to contribute one Pokémon each to help yours in defending your Gym. While on guard, you would not be able to access that Pokémon, though it will be returned right back to you should it lose a battle to another player. Why should there be lots of Pokémons defending your Gyms? Just to give you another refresher on what we previously discussed, this would allow you to receive more PokéCoins and Stardust, depending on how many Gyms you are currently defending. So if you want more of those two resources, you should definitely work together with your friends to defend as many Gyms as possible so you can earn more of each. Here’s what you may have been waiting for – how do you set up a Gym Battle? You just have to simply approach the Gym and tap on it. You can then choose up to six Pokémon, who would attack that Gym’s defenders, but don’t get too overconfident when looking at the Gym menu. That menu will always show you the weakest Pokémon defending a given Gym, which means you should be in for a much greater challenge than what you may expect based on what you see on the surface. But if you swipe to the right, you’ll see all the defenders, one by one, thus allowing you to scout your opposition and know what you’ll be up against. Obviously, you should be prioritizing the Pokémon who have the highest CP rating, as they’re the most powerful ones in your team. But you should also consider the elemental mechanics at play – it’s simple rock-paper-scissors in here, and if you’re familiar with the elemental system, you’ll know which Pokémon in your Gym have the advantage over those in the other Gym. 7. What Do You Do When The Fights Start Heating Up? After selecting your team of six Pokémon, hit the Go button, and the battle will begin. Move your Pokémon around by swiping on your screen, thus allowing them to avoid attacks. Now we recommend playing the game without sound in order to save on battery life, but you shouldn’t always do this; you want the sound turned on when fighting battles. You should also have a good Internet connection on you, because there’s nothing worse than server lag throwing you off your guard and spoiling what would otherwise be good moves. 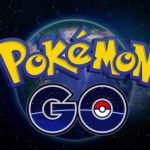 Unfortunately, there’s nothing anyone can do about the server lag Niantic is experiencing; the game has attracted an overwhelming number of players, after all. But while Niantic is trying to keep up with the awesome demand for Pokémon GO, you can at least take solace that your server lag is possibly your opponent’s server lag too. Just tap and swipe as quickly as possible, because the battles in the game are all in real-time, and not based on turns. By default, you should be tapping frantically on your screen, with the occasional dodge thrown into the mix. The faster you tap, the better your chances would be of winning. But you will also have to tap-and-hold at some point, in order to launch your special attack. You can do this once the blue bar fills up, and when you’ve got a relatively healthy Pokémon in your sight. Finish off the weakened ones with your regular attacks, but whenever possible, save the special ones for those that are still in good health. In order to win a Gym Battle and take control of the Gym you are fighting, you have to completely wipe out its Prestige. That might require you to beat the Gym several times, but when Prestige is completely zeroed out, the defending team will be booted out of the Gym, and you can now take over as the Gym Leader. Still, that doesn’t mean you’ll be serving as Gym Leader on a permanent basis. Keep in mind that you can always be battled by someone whose Pokémon team has a higher CP value, or has the elemental advantage, or both. There aren’t any perks for Gym Leaders right now, so it’s pretty much bragging rights at stake when it comes to the Gym Battles, with no actual change to the gameplay. If you would like to read our full collection of Pokémon GO tips, tricks and cheats, covering different aspects of the game, then please head over to this link.